Penn Jersey Signs – Let Penn Jersey Signs us of your weekend directional sign needs in NJ, NY, PA, DE & MD! Our weekend directional signs are ideal for directing customers to an open house, store event and more. We place and pick up these signs for you every weekend to avoid push back from governmental authorities. 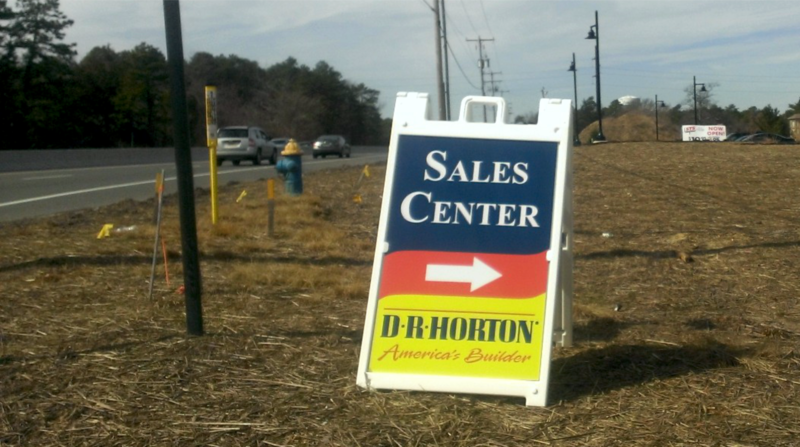 Community site signs are great for any builder to gain attention to their new community. 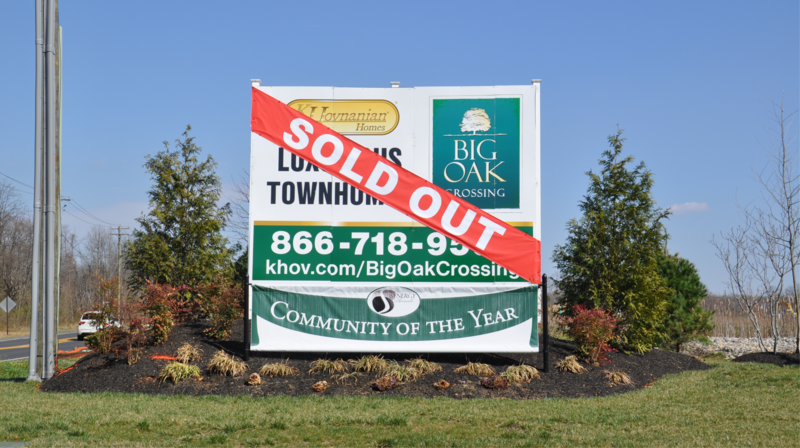 We will design and install the sign right on site to gain maximum exposure to the community. We provide all types of signs to new home builders which include (but are not limited to) A-Frames, Brochure Boxes, Yard Arms, Pergolas, Banners and Lot Signs. At Penn Jersey we pride ourselves on giving the best in price and service on weekend signs! We supply wholesale banners, lot signs, pergola signs, digitally printed signs, directionals, mini billboards, yard arm signs, post and rail signs, foam monument signs and more! 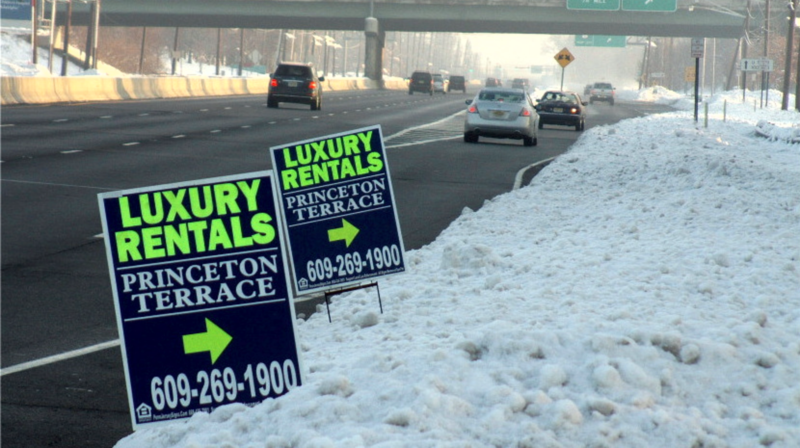 Penn Jersey Signs is the area leader in placing and retrieving weekend directional signs in the mid-Atlantic area of Delaware, Maryland, New Jersey, New York and Pennsylvania. We do NOT require a contract, just a three week commitment. The weekend signs will produce extra visitors and will help all your other forms of advertising result in higher site traffic. Your internet and print media advertising will get people onto the road; the weekend signs will help them find your doorstep. The double sided weekend directional signs can also be used to “snipe” visitors away from your nearby competitors. Do not be fooled by our completion, insist on double sided weekend signs from Penn Jersey! 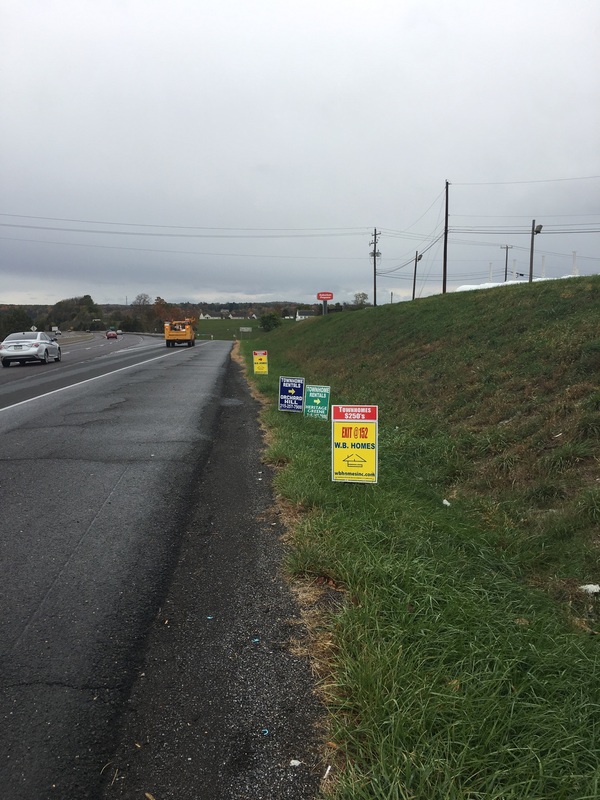 We place over 16,000 signs per weekend for over 300 communities. We can discuss your weekend sign placement needs.